U.S. Supreme Court Argument — Should Federal Courts Exercise Jurisdiction Over Patent Legal Malpractice Claims? Posted on December 3, 2012 by kellywilliams94 | Comments Off on U.S. Supreme Court Argument — Should Federal Courts Exercise Jurisdiction Over Patent Legal Malpractice Claims? 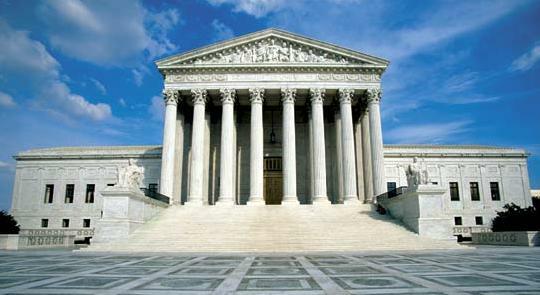 Las t week, an intellectual property law group, the American Intellectual Property Law Association (“AIPLA”), argued before the U.S. Supreme Court that state court, rather than federal court, is the appropriate venue to hear legal malpractice claims involving patents. AIPLA was arguing in support of an amicus brief, or “friend of the court” brief that it filed in an effort to further aid and educate the Court in the matter of Gunn v. Minton. AIPLA did not represent or have any connections to the parties in the case. By way of background, AIPLA is a national bar association of approximately 14,000 members engaged in private and corporate practice, in government service, and in the academic community. AIPLA represents individuals, companies and institutions involved directly or indirectly in the practice of patent, trademark, copyright and unfair competition laws, as well as other fields of law affecting intellectual property. AIPLA took the position that the Federal Circuit, which has jurisdiction over patent cases, has taken an overly broad approach to subject matter jurisdiction. AIPLA states that the Federal Circuit has been routinely finding federal jurisdiction over state law claims that raise patent law issues based upon Christianson v. Colt Indus. Operating Corp., 486 U.S. 800 (1988). The Federal Circuit, according to AIPLA, has interpreted Christianson, as supporting the existence of jurisdiction any time a state law claim makes it necessary to resolve a federal patent issue. AIPLA argued that this interpretation is wrong because Christianson did nothing to alter prior U.S. Supreme Court precedent that provided that a federal court may exercise jurisdiction over a state law claim raising a federal issue only when it is necessary, disputed and substantial. This only occurs, according to AIPLA, when a claim creates a controversy as to significant patent law issues, such as a controversy regarding the validity of a patent, the construction or effect of a patent statute or a principle of patent law. The Federal Circuit has combined these separate considerations, “necessary, disputed and substantial,” into a single question of whether any patent issue is “necessary” to the state law claim. AIPLA also argued that by asserting subject matter jurisdiction over malpractice claims involving patents, the Federal Circuit is disturbing the Congressionally approved balance of federal and state judicial responsibilities. Further, allowing federal courts to exercise jurisdiction over various state law claims merely because those claims raise a patent law issue diminishes the right of litigants to select a forum based on the traditional well-pleaded complaint rule. This rule states that the plaintiff is “the master of its complaint” and may have its cause heard in state court by avoiding claims based on federal law. However, the Federal Circuit’s exercise of jurisdiction over such claims forces litigants to litigate in federal court, even if the case involves local disputes involving local interests, simply because the dispute raises an issue relating to patent law. For more information, the entire amicus brief of the AIPLA can be found here and a Law360 article can be found here (subscription required). This entry was posted in Patents and tagged aipla, intellectual property litigation, malpractice, patent litigation, Supreme Court Patent Decisions. Bookmark the permalink.